2013 was one of the best years for Inspiration Centre. We have many things to thank God for in our community. As the year ends, we would like to wish our friends, partners, mentors, admirers and everyone a Merry Christmas and happy 2014. We look forward to the new year with many expectations and hope. 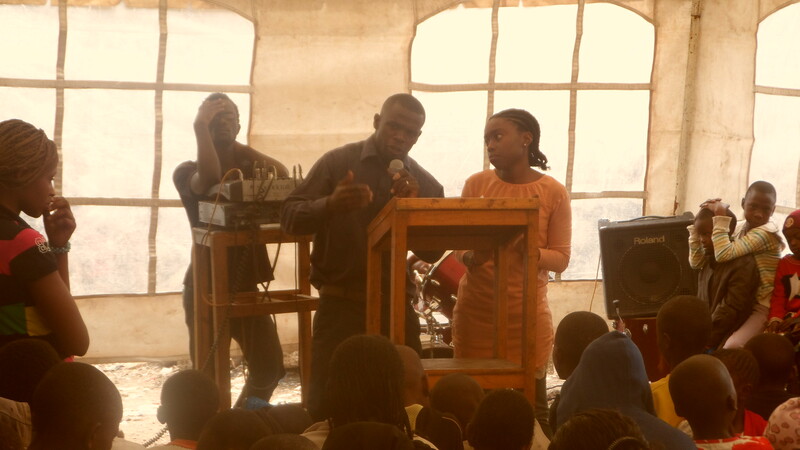 Thank you for making 2013 a memorable year for Jaime, Moses and to the greater extension; Mathare slum where Inspiration Centre serves. Jaime and I came back to Kenya on 3rd of December, 2013, after spending more than two months in the United States. Our trip was successful and we can’t wait to see the impact unfold in our community. Over 40 children have been added to our sponsorship program, and enough money has been raised to break ground for our building project. Four cargo size barrels of clothes, shoes and school supplies are on their way to Mathare from the US to be distributed to those in need. Cool things are happening at Inspiration Centre, and we are glad that you are a part of it! However, there is no time for jetlag when Inspiration Centre prepares for an outreach in Western Kenya. More than 50 urban youth will journey to the rural outskirts of the country in a hired bus and our recently donated pick-up. In harmony with the spirit if Christmas, we will be traveling from homestead to homestead, bearing gifts of basic necessities, and the good news of the gospel. While so many people selflessly give to us at Inspiration Centre, we feel it is important to also cultivate a culture of giving in Mathare. It is only when you give, that space is made to receive. To give is an honor, and it is a blessing that we must not rob our children of. Please pray for us, that our hearts may be in the right place for giving. While many on the journey already face tough lives, it is important to remember that there is always someone who is worse off.